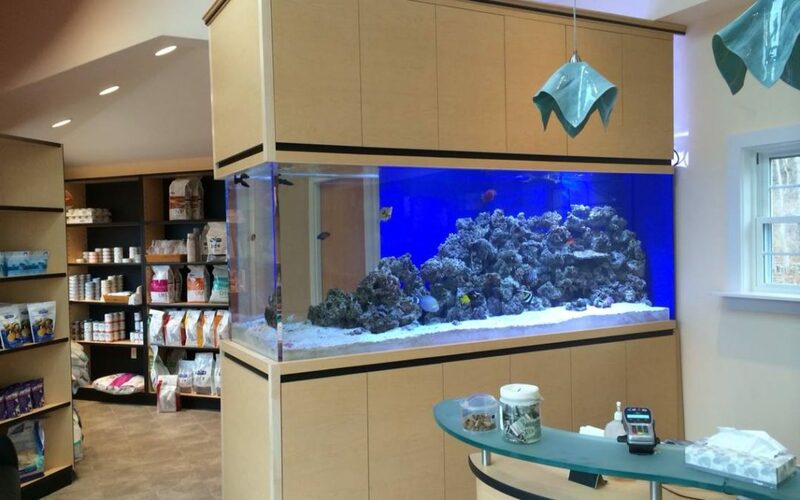 Based in Fairfield County, CT, Normal Aquatics has been designing and construction custom aquarium cabinets for clients throughout Connecticut and New York for over 20 years. From a basic aquarium stand to a fully customized and detailed aquarium cabinet, Normal Aquatics is capable of designing a cabinet that will blend seamlessly with your aquarium display as well as the style and layout of the room in which it is located. We are a full-service Connecticut aquarium design and installation. When you hire us for your aquarium installation, you will not have to worry about hiring separate home improvement contractors in order to finish the project and ensure everything is operational. While the majority of custom aquarium design companies in the region utilize standard cookie-cutter design practices when constructing aquarium cabinets, Normal Aquatics are capable of creating a custom tailored cabinet that is suited to your style and design requirements. We will work with you and take your vision and suggestions and turn them into a reality. We have built custom cabinets of all sizes and shapes, and can fit your aquarium into any type of space that is available. Each of our cabinets are constructed with high quality woods and laminates, so you will never have to worry about its integrity getting compromised under the stress of the weight of your aquarium. At Normal Aquatics, we work hard to stay ahead of the competition, which is why we have built a reputation for being the premier aquarium services company in the region. From our basic model aquarium cabinetry to a fully customized design, Normal Aquatics will utilize the the most modern equipment and practices when designing each piece. We employ master cabinet maker, with over 15 years of professional experience in the architectural mill-working industry. From your initial vision to the final product, we are capable of helping you realize your dreams. You can contact us at (203) 292-5922 to receive a free consultation, or stop by our warehouse located at 955 Connecticut Ave, in Bridgeport, CT, for a free tour, would love to meet you and show you around!